PROTECTING REAL ESTATE WITHOUT AN OFFSHORE TRUST: Now It Can Be Done! 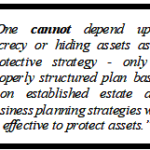 This newsletter discusses a new strategy to protect real estate when one does not have an offshore trust. April 23 2019 Both Patricia and Howard will participate in a nationwide Canadian continuing legal education program sponsored by the Osgoode Hall Law School (at York University, Toronto, Canada). Howard will discuss drafting strategies for the offshore asset protection trust and Patricia will discuss special techniques for protecting real estate from creditors. June 7 2019 Both Patricia and Howard will be presenting a continuing legal education program for the Dallas Bar Association. 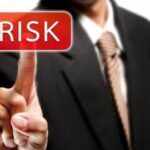 Howard will discuss drafting strategies for the offshore asset protection trust and Patricia will discuss special techniques for protecting real estate from creditors. 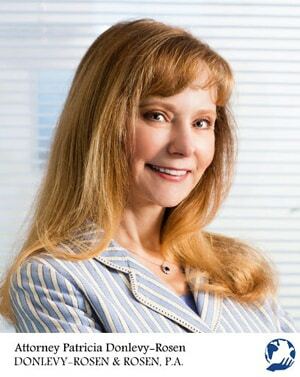 Attorney Bio – Patricia Donlevy-Rosen, Esq. 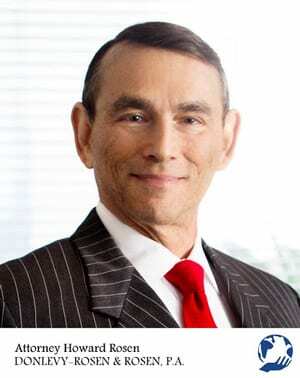 Attorney Bio – Howard Rosen, Esq. 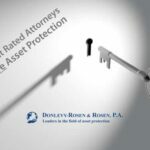 14 questions to ask your prospective lawyer about asset protection. OFFSHORE TRUSTS & OFFSHORE ACCOUNTS: WHAT’S THE DIFFERENCE? Potential clients often call us asking if we can set up an “offshore account” for them. Is this what they really mean, or are they (or should they be) asking about an offshore trust? In this issue we’ll compare the asset protection efficacy of an individual establishing an offshore account versus establishing an offshore trust which itself establishes an offshore account. 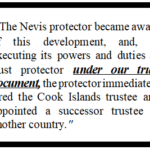 LAWSUITS IN THE COOK ISLANDS: PROPER TRUST STRUCTURING SAVES THE DAY (and the trust)! We have often stated that the only way for a creditor to “get at” the assets held in a properly structured Cook Islands asset protection trust is for the creditor to bring a case in the Cook Islands. Why? The Cook Islands court is the only court which has jurisdiction (power) over the trustee, which, under trust law, is the holder of legal title to trust assets. 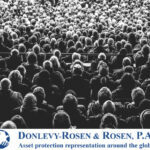 Law Offices of Donlevy-Rosen & Rosen, P.A. The hiring of a lawyer is an important decision that should not be based solely upon advertisements. The Florida Bar recommends that, before you decide, you ask us to send you free written information about our qualifications and experience. The information presented at this site should not be construed to be legal advice nor the formation of an attorney-client relationship.